I still have a great love for coffee. Sure it gives you bad breath and stains your teeth, but it. is. so. worth. it. My dear husband who hates the mere smell of coffee has always indulged me in this area. 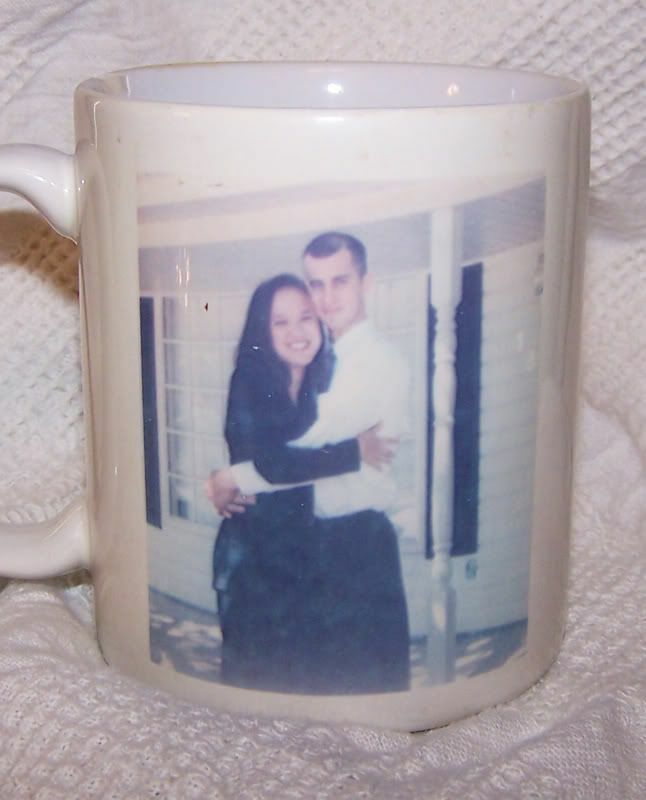 When we first met, he gave me a coffeemaker and a very special mug for Christmas. This was back in the old days, so specialized mugs with pictures on them were VERY hard to find! He looked for weeks for this thoughtful gift for me. 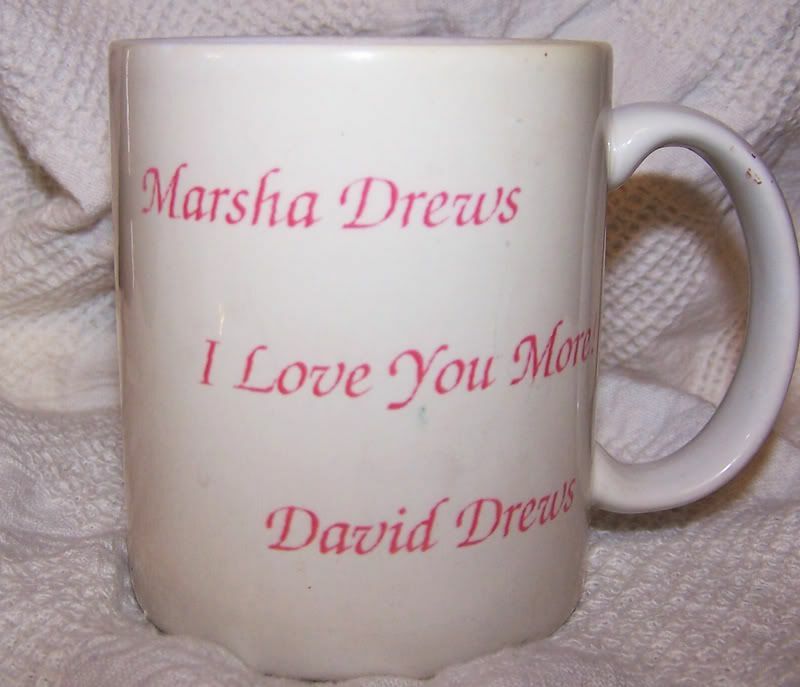 And look... it said "Marsha Drews" on it! I loved it! Perfect gift when you're engaged, right? Over the years, he has continued to indulge me in my passion for coffee. 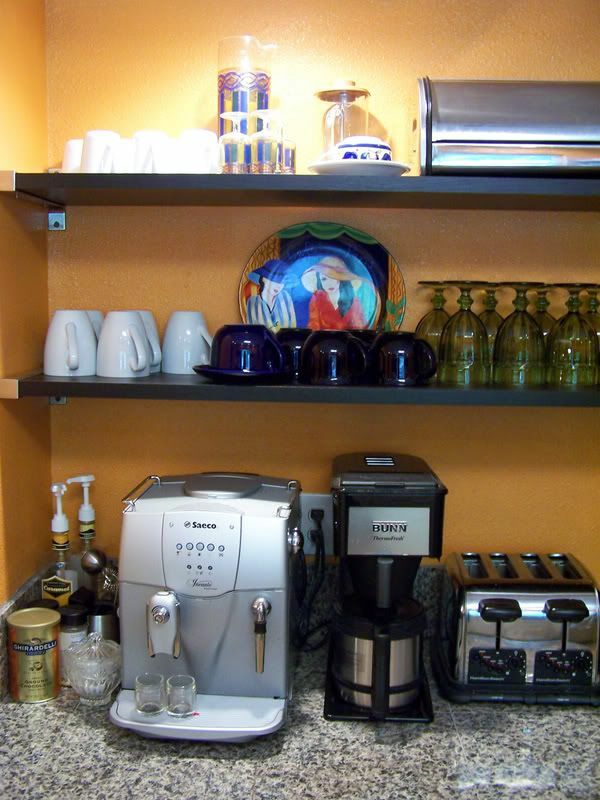 He even let me have this very special coffee nook in my kitchen. So baby, I am sending you a kiss (after brushing my teeth, of course)! Thanks for loving me more than you hate coffee!